Today we finished reading Wonder, by RJ Palacio. Not surprising, I'm sure, when I tell you this is one of my favorite books to read to kids. We had an amazing time reading it and connecting with a class in Chicago through Edmodo and sharing our thoughts, questions and concerns about the book. One of the culminating projects I did with kids today was create a CHOOSE KIND sign to keep up in our classroom for years to come! If you are interested in more resources for Wonder, please click on the link below! 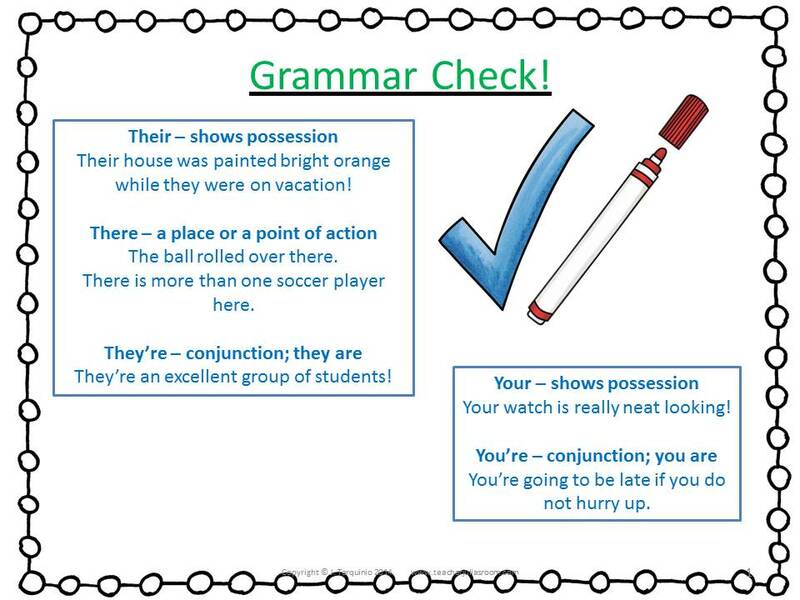 Today we had our first grammar lesson in fifth grade. I love the structure of these lessons as well as the application of skill and assessment of knowledge which is all tied together and played out during the editing stage of the writing process. Step One: I start out by teaching a specific grammar skill as the mini-lesson. Most of the time, I use a chart to explicitly teach the skill. Step Two: I model using a red pen to correct for that skill in my own writing. Step Three: Students go into their writing and correct any mistakes where they're, there, their, your, or you're is misspelled. Something very important that I stressed to students is that they are responsible for spelling these five words correctly if they are used in their writing. These words are also on the rubric for their Narrative Stories. I am more lenient with class work and homework, but students are responsible for spelling the words correctly in that work as well. 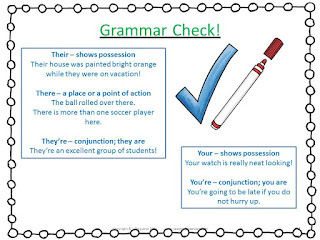 I hold students accountable for all grammar skills taught throughout the entire year. If you would like a copy of the anchor chart I used during this lesson, please feel free to click here and download it for free at my Teacher Store! How do you teach grammar in your classroom? 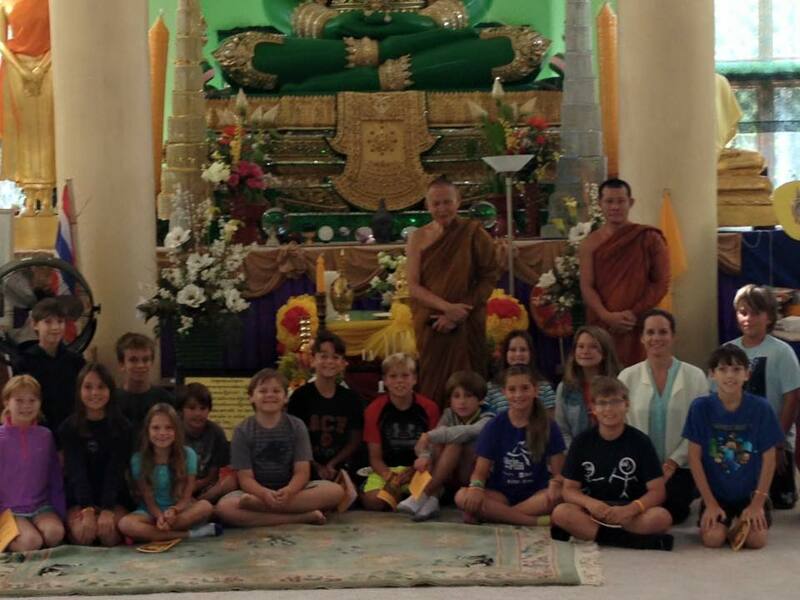 We've been having a BLAST learning about Buddhism in fifth grade! This week was the last week before we start to learn about Hinduism and then finally, at the end of the quarter, compare the two religions. 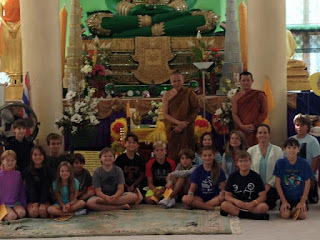 On Wednesday, we went to a local Buddhist monastery. Who knew there would be in one in North Carolina! 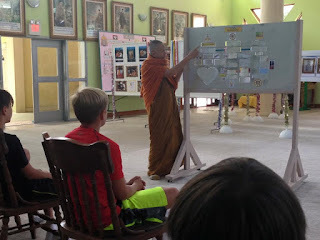 The head monk there gave students a lesson on The Eightfold Path and Enlightenment. I felt like the trip was a huge success. 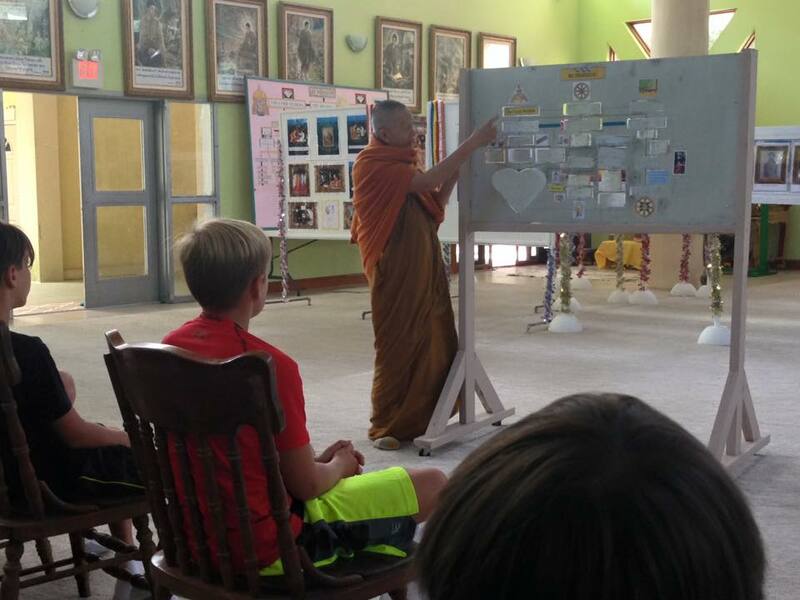 Students were extremely respectful and completely engaged. One student even commented, "I feel like I know so much more from going there rather than just reading about it in our books." Yep! That's the goal! Today was our last day of study, and I decided to have students make malas. Malas are a tool that Buddhists use during meditation. By counting the beads during the mantra, it allows Buddhists to bring their mind back to the meditation when the mind starts to wander. They typically consist of 108 beads, but we decided to have about 25 on each of ours. There is a head bead (I found some that are replicas of Tibetan beads) that is never passed over during the count. There is also a cool tassel! 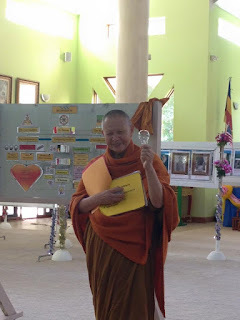 I showed students a video that explains what malas are and how they are used. Then they began constructing their own. We plan on using them during our Meeting for Worship on Wednesday which is a time that our whole school gets together to "center ourselves" in silence. It is about 7 minutes of silence that is used as a meditation in some ways. It is a practice that is done once a week in every Quaker Friends school. Students are excited to use their malas next week to help get their minds "back on track"! Next up - Hinduism! I can't wait to see what kinds of fun things we come up with for this part of the unit! I had a great, fun and busy week! I think the highlight was today when students completed The Marshmallow Challenge. When I stood in front of the class and announced that we would be completing this challenge, I was a little disappointed when I got a giant round of applause and kids jumping out of their seats because I was hoping this would be the first time they did this. Well, it was. They were just super excited about the fact that we would be using marshmallows with whatever I was planning to share with them! Kids are awesome. The idea behind this activity is for students to work with a group on a challenge and recognize things about themselves as participants and things that happen during the challenge that were both successful and unsuccessful. I divided groups into 4 and 5 students each. I handed them a yard of tape, a yard of string, 20 sticks of spaghetti, scissors and a marshmallow. Their challenge was to build the tallest free-standing structure with the marshmallow on top. They could use all or just some of the materials provided. They also were only given 18 minutes. This really put the pressure on! Only 2 out of the 4 groups built a successful structure. One group came close, but it kept falling down and couldn't be measured. The second group had a bit of a problem with communication when it starting coming down to the wire and completed a base structure which was only part of their plan. Students were able to recognize these things through discussion and by the end of the conversation, everyone was smiling and laughing and agreed it was a fun activity!